For three days in September, steam locomotives were given responsibility for heavy goods trains in Germany, including a 550-ton steel train bound for the French capital. Plandampf is alive again, but for how much longer? Those were the immortal, defiant words of Papal rebel Martin Luther, who was sheltered in the iconic Wartburg castle, Thuringia, Germany, between 1521 and 1522, as his Protestant revolution began to grip central Europe. His most famous quotation came to mind, half a millennium later, stood as I was, on September 15, in the shadow of the monumental structures that make-up the 1067-built Wartburg, together with a mass of railway photographers, who were greeted by a crescendo of noise being emitted from an ‘01’ Prussian Pacific as it roared to the top of the 1-in-50 climb to Förtha tunnel. ‘01’ Pacific No. 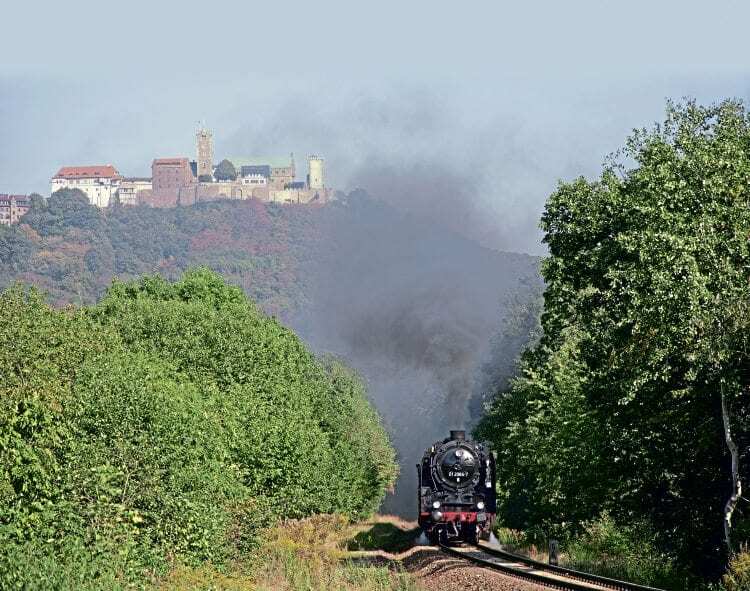 01 2066-7 completes the scene between Eisenach and Förtha, heading south on the 1-in-40 climb, overlooked by the historic Wartburg castle on September 15. The Wartburg was where Martin Luther translated the Hebrew and Greek bible into German. 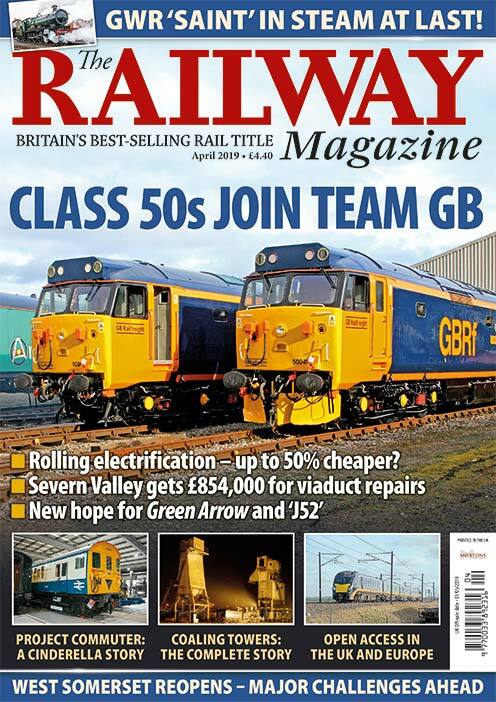 It was one of those memorable moments that had lured around 250 enthusiasts, including many from Britain, to dig deep into their pockets (some £300 each) in order to put some of the sparkle – and grit – back into the former East German, Deutsche Reichsbahn on lines that are traditionally the dominion of diesels. The September 15-17 showcase was one of increasingly few Plandampfs that, if only fleetingly, turn back the clock from the modern day Deutche Bahn network to the era of the ‘Iron Curtain’, allowing commercial freight trains to be handed over to steam haulage. Plandampf literally translates into English as ‘timetabled steam’. In this instance, it was the opportunity to hook 10-coupled, two-cylinder locomotives onto the front of wagons laden with steel bound for a construction project in Paris that was the catalyst for the IGE Werrabahn-organised three-day event. 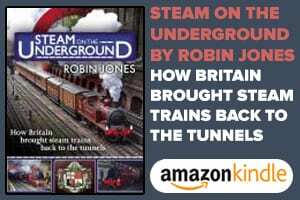 The steel would be transported over the 60-mile ‘dog-leg’ route from Arnstadt, through the forests, valleys, small towns and villages of Zella-Mehlis, Schmalkalden and Bad Salzungen to Eisenach – a well-trodden route for steam on the annual winter ‘Rodelblitz’ tourist trains. Climbs to the skiing attraction of Oberhof and Förtha are both a challenge for crews and a delight for linesiders. Oil-burning No. 50 0072-4 pilots No. 50 3648-8 away from Oberrohn on September 16 with the 2,100-ton gravel train for Eisenach. The exhaust of banker No. 50 3501-9 can just be discerned in the distance as it helps accelerate the train for its assault on the stifling northbound climb to the summit of the Werrabahn at Förtha. No. 50 0072-4, meaning that ‘V 100’ class diesel No. 100 108-8 was attached to the rear of the seven-wagon train as insurance. 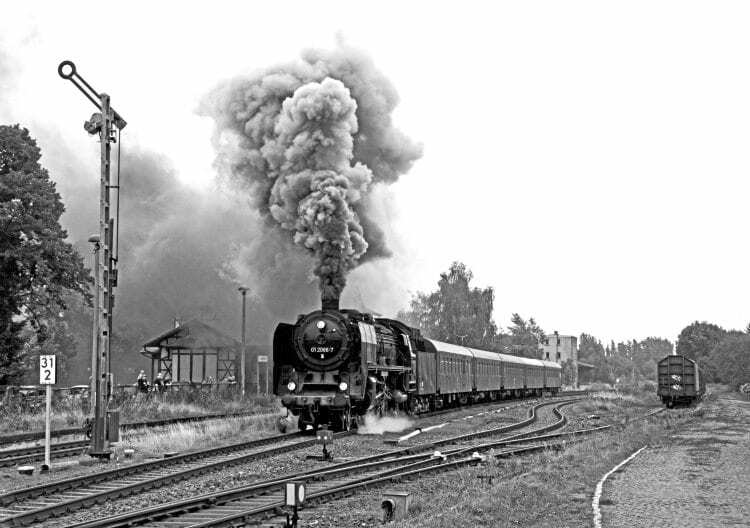 The deceptively heavy train took more than seven hours to reach Eisenach, while ‘01’ No. 01 2066-7 threaded through the scenic Werra valley with a five-coach photographic addendum, which gave little cause for concern of errant sparks igniting the tinder-dry lineside. Its southern destination was Meiningen; familiar to British preservation followers as the town that gave new-build ‘A1’ No. 60163 Tornado its all-welded, steel boiler in 2006. Damp, cooler conditions enabled the Werratal-based event to really get underway on September 16 as two more ‘50s’ joined the party. Conventional Class 50s’ Nos. 50 3648-8 and 50 3501-9 were pressed into action on a mix of genuine and photo-goods extras on a timetable that afforded hundreds of miles of intensive steam over the next 48 hours. Steel and timber: No. 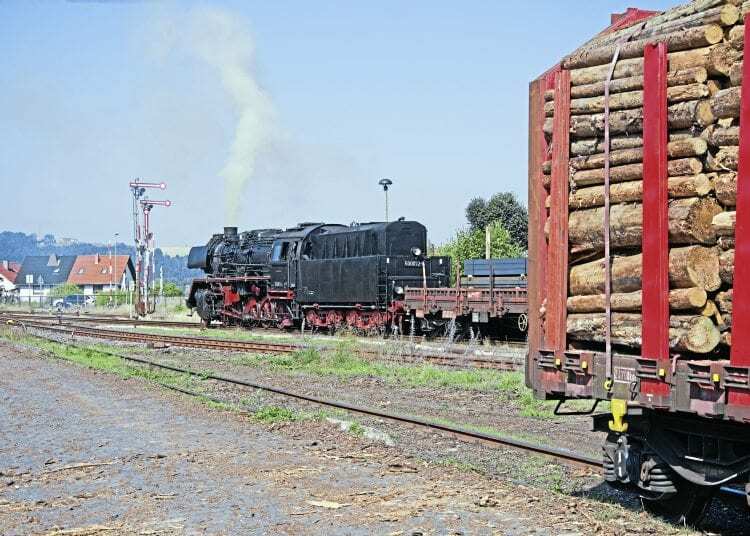 50 0072-4 – with its important consignment for Paris – waits at Immelborn for a local Eisenach-Meiningen service train to clear the single line, while loaded timber wagons wait to be transported to the saw mill. Intertwined with a smattering of steam-era level crossing barriers, upper-quadrant semaphore signals and ‘boxes, this central area of Germany was, in some respects, firmly back in the 1970s as the four black-and-red trim engines hammered to and fro. A few archetypal Trabants and, fittingly, Wartburg motor cars only heightened the sense of reminiscence for natives, and indeed some of the Brits who’d braved the German Democratic Republic’s rule of paranoid suspicion in order to experience such sights after the cessation of British Railways standard gauge steam in 1968. The undoubted highlight of September’s Plandampf was a 2,100 ton, third-of-a-mile long, loaded gravel train, consisting of 25 bogie hoppers, which commanded the muscle of all three attending 2-10-0s to collectively lift them from Immelborn to Eisenach, involving 15 miles of ‘against-the-collar’ ascent, climaxing at the southern portal of Förtha tunnel to a tremendous noise. 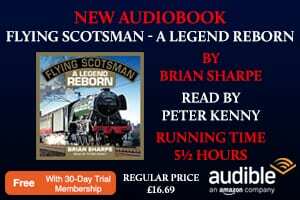 It was, almost certainly, the heaviest steam-hauled freight to be seen anywhere in Europe – if not the world. September’s ‘Stahl fur Paris’ is already some way short of the huge Plandampf extravaganzas of the 1990s, when around a dozen locomotives would be employed on expresses and overnight inter-cities, as well as goods workings. Hints of the Deutsche Reichsbahn as No. 01 2066-7 powers away from Immelborn on September 17 bound for Eisenach. Yet, as the fires of steam – particularly standard gauge – are doused down across the globe, the Plandampf concept is an increasingly important ideal together with surviving remnants in Bosnia and Poland. 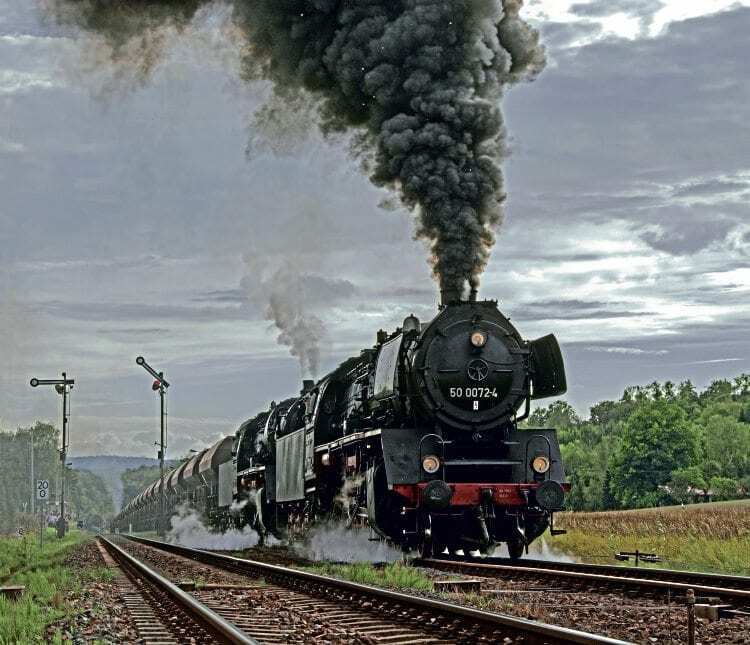 However, as more and more turntables and water cranes become de-rooted, and timetabled trains ever accelerated, the future for even semi-artificial steam is still endangered.